Lewis Lizotte was born in Caribou, Maine on August 22, 1935. He began studying the martial art of Judo in 1947 when he was 12 years old. 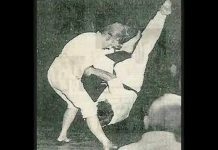 In 1949, he began training in Jujitsu. In 1952 he trained for a short period in the arts of Shorin-Ryu and Goju-Ryu. 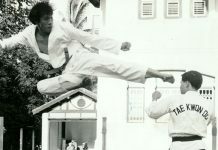 In 1954, at the age of 19, he joined the U.S. Marine Corp. and in 1955 he decided to begin training in Isshin-Ryu Karate. He met with and began formal training with Grand Master Tatsuo Shimabuku. Before leaving the Okinawan Island he would obtain Brown Belt level from Master Shimabuku. Lewis Lizotte continued his training under Grand Master Don Nagle who was one of the chosen pioneers to head Isshin-Ryu in the United States. He received his Black Belt from Master Don Nagle in 1958. Lewis Lizotte was discharged from the Marine Corp. in 1959 and settled in the Chicago, Illinois area. While in the Chicago area, Sensei Lizotte taught at the local YMCA. In 1960, he opened his own dojo in the Chicago area. 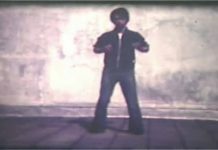 During his years in Chicago, he also taught self-defense tactics to various Law Enforcement Agencies. Later while in the Connecticut area he taught at area colleges and universities, including the University of Massachusetts and Amherst College in Massachusetts. On July 28, 1963, Sensei Lewis Lizotte became the first full contact Karate World Champion. In his first defense of the title in 1964, he was beaten by Mike Stone in a very close match. In 1964, he was chosen to perform a martial arts demonstration at the Worlds Fair, held in New York City. Other notable Isshin-Ryu instructors on hand at the Worlds Fair included Gary Alexander, Don Bohan and Ed McGrath. Thousands of spectators were in attendance to witness the form World Champion perform. The following year, 1965, he was again chosen to perform at the Worlds Fair. 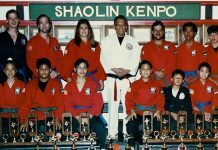 Sensei Lewis Lizotte opened his first Dojo in the Enfield, Connecticut area in 1966. He then moved on to Holyoke, Massachusetts and opened a dojo. He also taught in his home in Somers, Connecticut until opening the current dojo in Enfield, Connecticut. 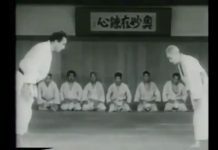 In 1967, Sensei Lewis Lizotte began training with Grand Master Steve Armstrong, who at that time was the owner, director and Chairman of the Board of the AOKA, an organization bounded by Tatsuo Shimabuku, Harold Mitchum, and Steve Armstrong in 1960. Master Armstrong was also one of the chosen Americans to head Isshin-Ryu Karate in the United States. Sensei Lizotte came up through the Ranks being promoted to Black Belt by his second instructor Master Don Nagle and then by Master Armstrong and the AOKA. Master Lizotte was very active at the Dojo, he was there seven days a week and personally taught the Black Belt instructors class on Monday and Wednesday evenings. 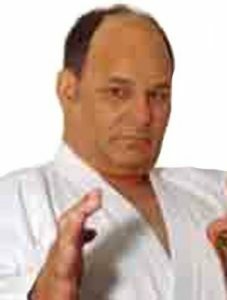 Sensei Lewis Lizotte helds Dan ranks in Isshin-Ryu Karate, Jujitsu, and Judo. He was the owner, director and Chairman of the Board of the AOKA. He is very active on the tournament scene throughout the country. 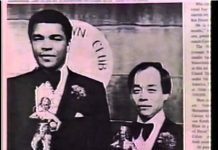 He hosted the annual Connecticut Karate Championships for many, many years. In addition he occasionally hosted the Annual AOKA Grand National Karate Tournaments. Sensei Lewis Lizotte was inducted into the Isshinryu Hall of Fame in 1989, the New England Black Belt Hall of Fame and the Krane Hall of Fame in 1991. in 1992, he was the recipient of the Spirit of Isshin-Ryu awarded by the AOKA Isshin-Ryu Hall of Fame. Sensei Lewis Lizotte’s profession was real estate development. He constructed many homes and shopping malls in the Connecticut area. He resided in Enfield, Connecticut with his wife, Arlene and two children, Michelle and Paul. Paul was the co-owner and one of the Dojo instructors on the Dojo staff. Michelle is a microbiologist who teaches at Smith College in Northampton, Massachusetts. Sensei Lewis Lizotte passed away peacefully at his home in Pompano Beach, Florida on September 2, 2018. He was 80 years old.